Decorate your holidays with affordable, power saving and attractive LED Lighting. LED Lights offer Extra Long Life and use up to 80 percentage Less Energy than Standard Bulbs. They are cUL Listed and can be connected to more sets than Standard Lights. Decorate your holidays with affordable, power saving and attractive LED Lighting. LED Lights offer Extra Long Life and use up to 80% Less Energy than Standard Bu They are cUL Listed and can be connected to more sets than Standard Lights. 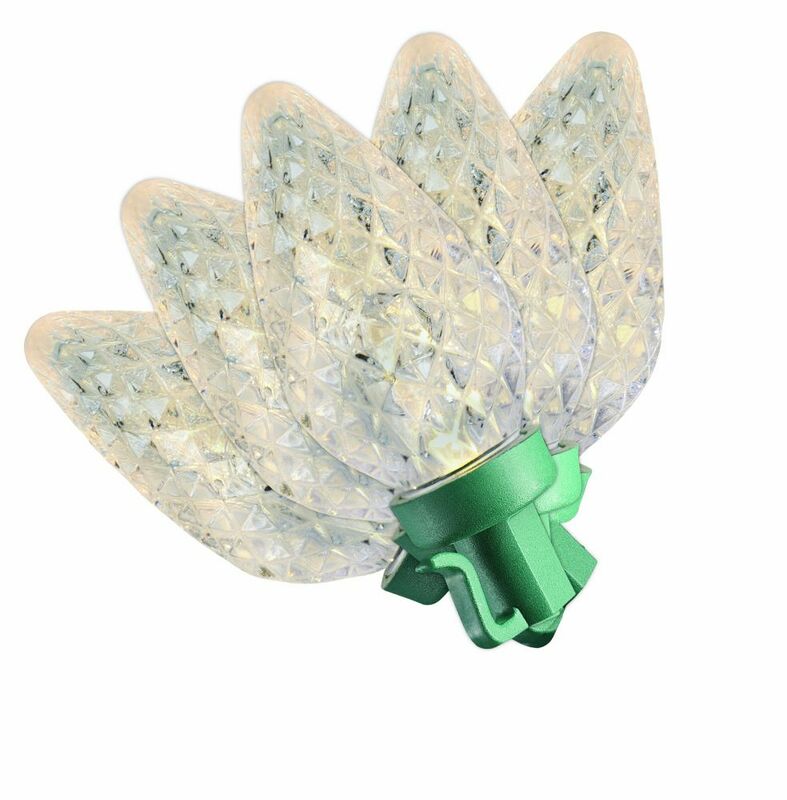 Led C9 50L Warm White Super Bright Decorate your holidays with affordable, power saving and attractive LED Lighting. LED Lights offer Extra Long Life and use up to 80 percentage Less Energy than Standard Bulbs. They are cUL Listed and can be connected to more sets than Standard Lights. Led C9 50L Warm White Super Bright is rated 4.0 out of 5 by 1. Rated 4 out of 5 by Bryan from Good product The middle bulb was lose in each strand so make sure to check before the lights go up. What is the bulb spacing?